Can you ever have too many baskets? 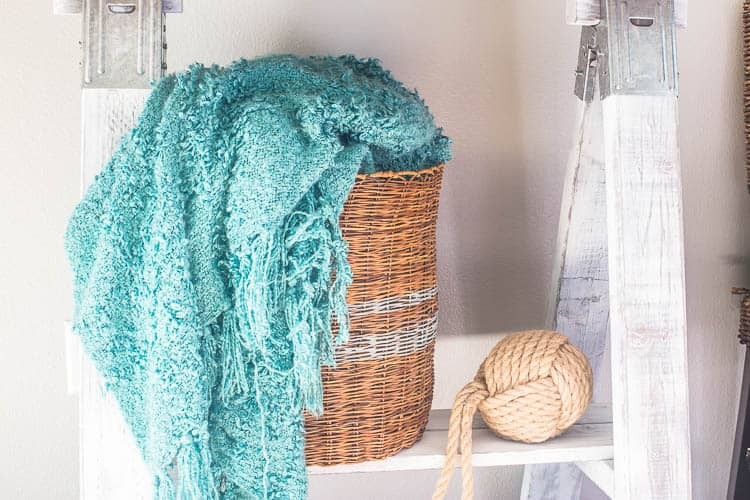 I made a Gray Striped Storage Basket from a thrift store basket for this month’s Thrift Store Decor Challenge. I love having baskets to pile blankets in, shoes in or whatever you need to store. 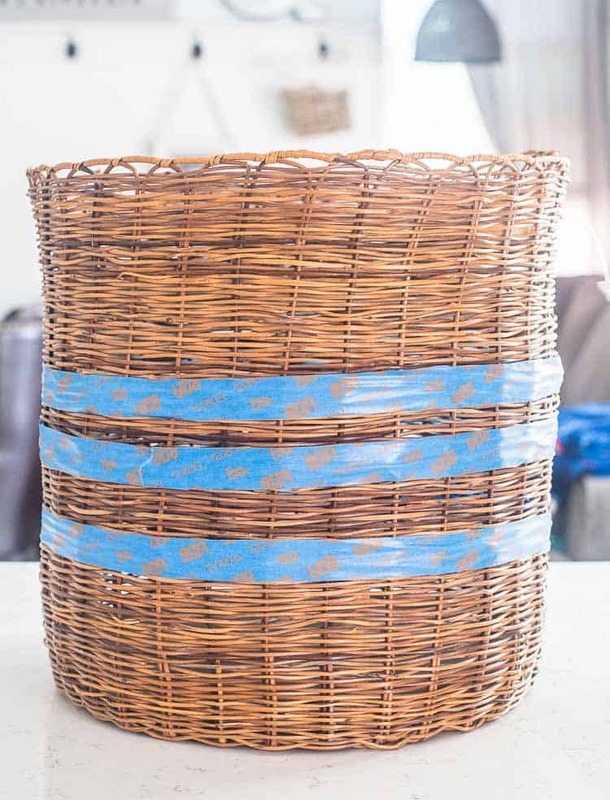 I found a nice, tall basket for only $1 – YEP $1!!! One of our local thrift stores has some killer deals on Thursday, so you know where to find me on Thursdays! 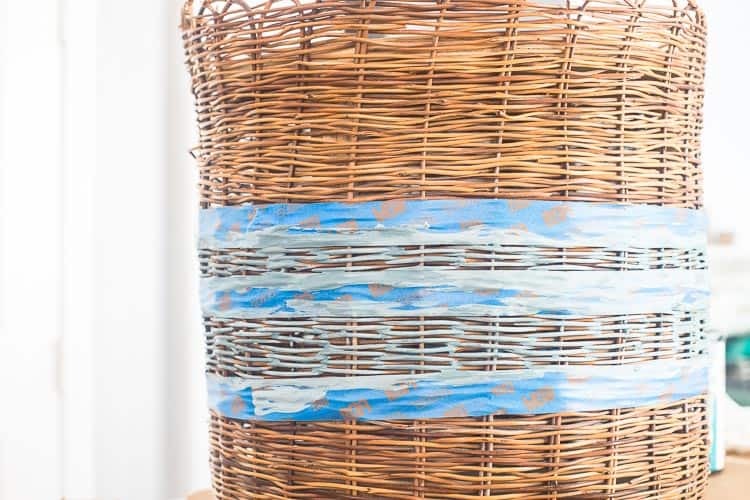 Here’s what I used to create this Gray Striped Storage Basket… there’s affiliate links for your convenience. I started by placing the painter’s tape around the basket. I wanted my stripes in the center area, but place where you’d like. Then it’s time to start painting. Load just a small amount of paint on your brush, you don’t want the paint dripping – we’re going for clean stripes! I painted 2 coats of gray paint. By the time I got around the basket the paint had dried, so I was able to put the second coat on right away. I let the paint dry about 30 minutes and then peeled the painter’s tape off. These simple stripes were a quick update to my thrift store $1 basket score! 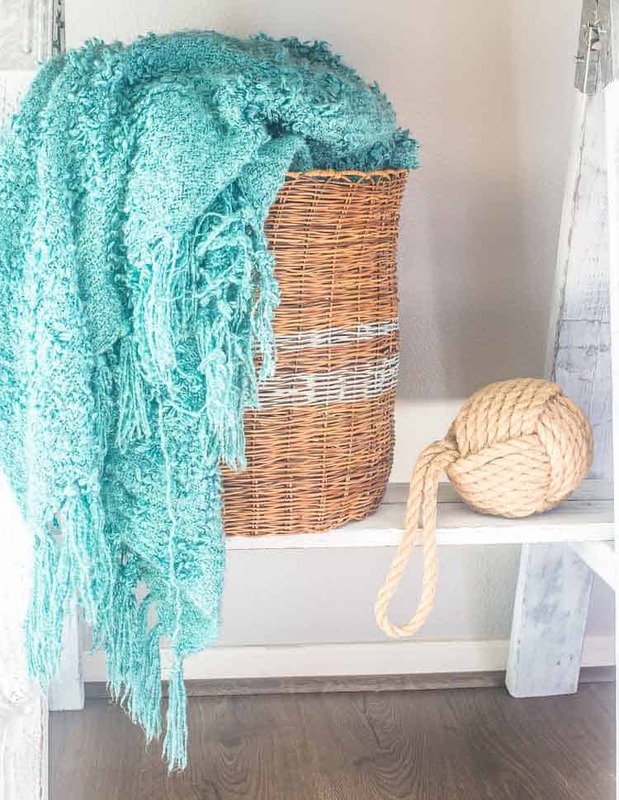 Now make sure you check out what the rest of the team has transformed this month… and if you want to check out my other thrift store goodies there here! I really liked this gray striped storage basket. This is looking very cute. 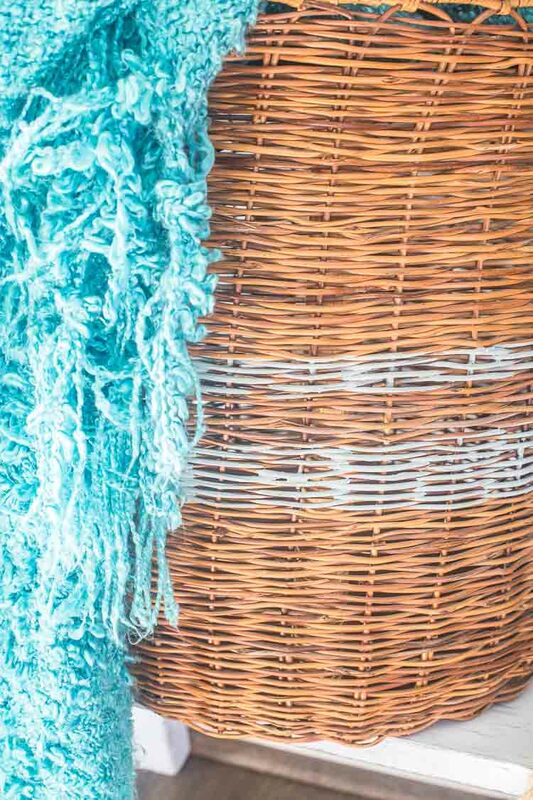 Can I use the crackle technique on furniture? Super pretty with the stripes! Gotta love the power of paint!